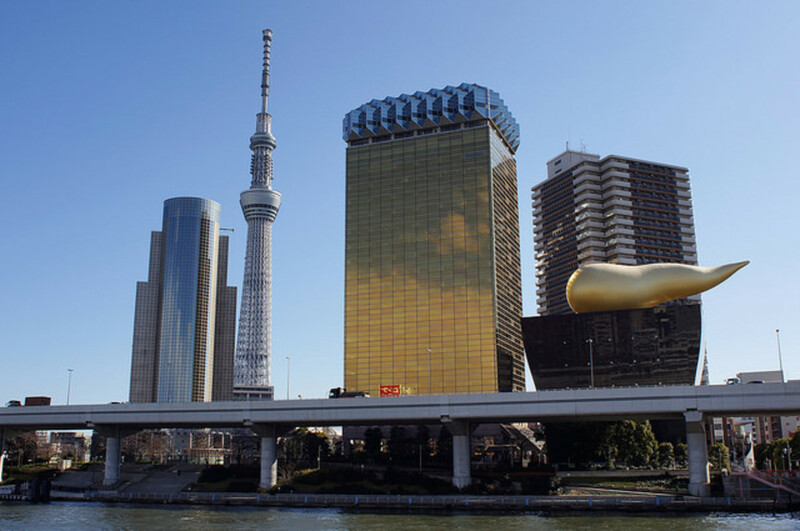 Japan seems to be known for either setting trends or taking new trends to higher levels. Every year, there are new and interesting trends forming while old ones are being forgotten. 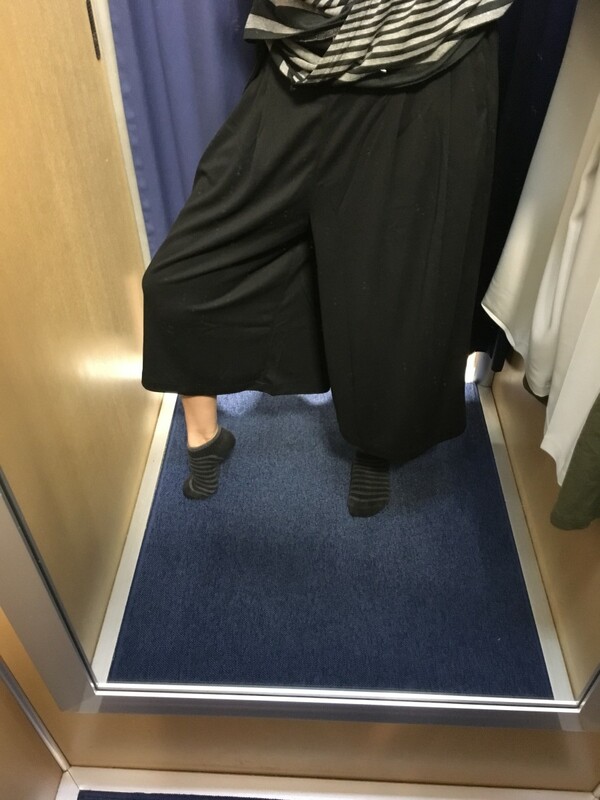 Some of these trends are found only in Japan, while others are borrowed from other parts of the world and taken to new extremes in the Land of the Rising Sun. Here is a list of trends that you might see if you visit Japan in 2019. This past year, television has seen a rise in popularity of female o-gui, or literally "big eaters". Similar to competitive eaters, o-gui can eat several kilograms of food at one sitting. Perhaps the reason why more females have been making it into the entertainment industry is that they are cute and slim, making more of an impact when you watch them eat 5–8kg of food, sometimes really greasy, in a relatively short period of time. This trendy dance seems to already be on the decline after the New Year started, but it’s a good example of how the West made an impact on the entertainment world in Japan. You have probably already seen and know this dance, actually known as the ‘shoot dance’ made popular by the American rapper BlocBoy JB. In Japan, however, nobody has heard of BlocBoy and the shoot dance. The dance, where you hop on one foot, kick out the other leg and simultaneously either pump your fist in the air or swing your arms by your side, became famous after the Japanese music group Da Pump included it in the dance routine for their song “U.S.A”, a cover song of the same title, originally sung by an Italian artist named Joe Yellow. The group’s choreographer does admit that after seeing on the internet that this dance was popular in the states, he thought it would be perfect for their performance. He hasn’t credited the rapper who started it, but I think that’s just because he’s not aware of who actually came up with it. By the end of last year, the group was appearing on all kinds of television shows where they were teaching everyone at home how to do their version of the dance. It is such an easy dance to do that everybody in Japan was doing it while singing the song’s chorus “c’mon baby, America”. You would see everyone from little kids to seniors kicking out their legs and pumping their fists. I have heard people refer to the dance as the dasa(i)-kakkoi dance, meaning "tacky but cool". 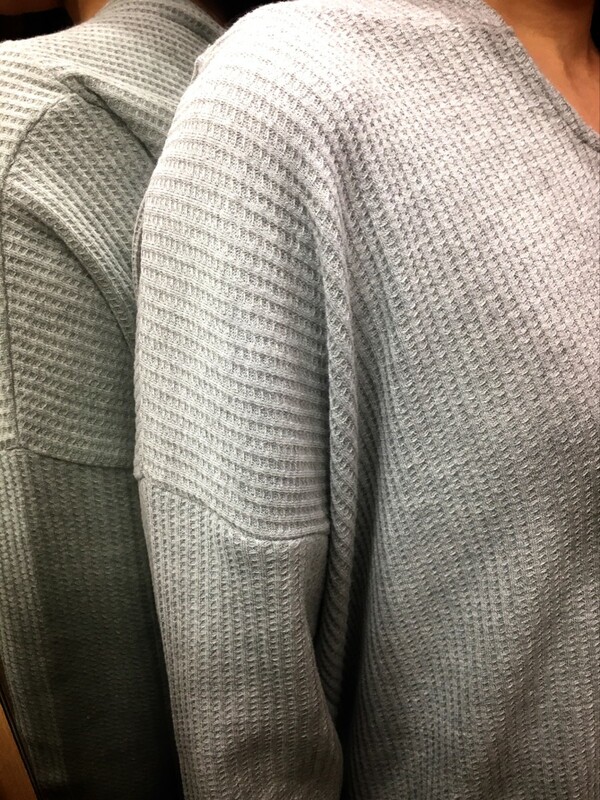 I’m not sure what the actual name of these tops are, but there is no seam around the shoulders where the sleeve meets the body of the sweater. If there is such a seam, it is lowered so that it falls below the shoulders as if purposefully oversized. Loose-fitting clothing has always been part of Japan’s fashion scene, but this year, there seems to be more and more of these “seamless shoulder” tops. They are said to bring out the elegant contours of a woman’s neck and shoulders. 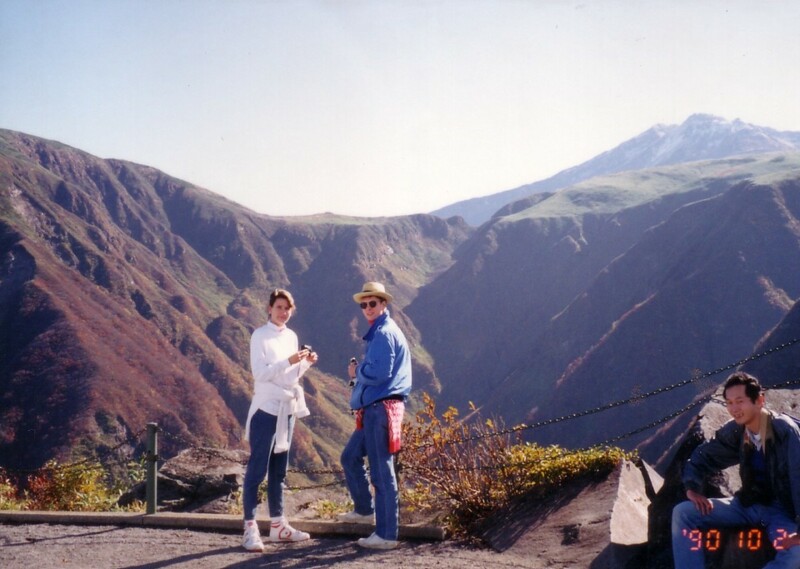 It used to be that it was almost common courtesy to dye your hair once it started turning grey, just like wearing makeup seems to be a must for women in Japan. I have also heard that women are often embarrassed to let their white hairs show in fear of others thinking that they are too cheap or too lazy to dye it. However, there seems to be a new trend, and it’s great for those who don’t want to use chemicals on their head. Now it seems that letting the greys shine is gaining in popularity. More and more greying women are gaining the confidence to go out in public with their natural hair colour, and they are spreading the word to others, telling them of the beauty of greyness. Programs on TV are dedicating segments on how to coordinate makeup and fashion with grey hair, as well as how to cover up the border line on dyed hair when letting grey roots grow out. Last year, the trend was flat and thick. You may still see many women with this style, but the new trend seems to be leaning back towards the arch. Eyebrows that are not so thick and have a slight arch bring out a more feminine look compared to the almost unnaturally thick and flat shape (which was liked for its ability to convey a more friendly and soft look). We all know about canned tuna and canned salmon, often mixed with mayonnaise and used in sandwiches or toppings for salads. In Japan, you can find almost anything in a can, from ready-to-eat bread, cheesecake and egg omelettes to smoked oysters, chicken teriyaki and stewed pork belly. 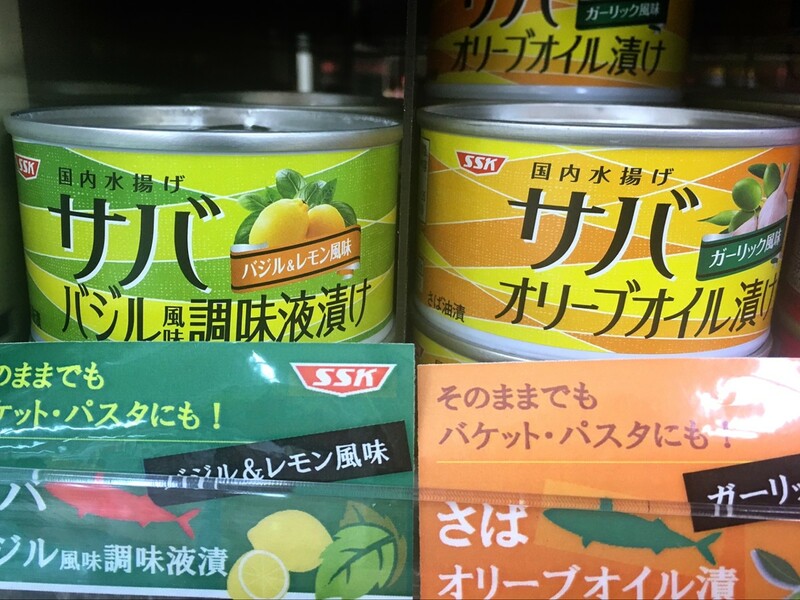 Canned mackerel, or saba-kan as it is called here, has always been around but has recently gained popularity for its health benefits. Countless times in the past year, it has appeared on TV shows with doctors and specialists touting its effects on longevity and youthfulness. It is high in DHA, EPA, vitamin D and calcium, helping to prevent dementia, maintain a healthy cardiovascular system and strengthen bones, and it is suitable for dieters. Because of all this hype, the prices of canned mackerel have gone up, and initially, there were a lot of empty spots on grocery store shelves. There seems to be an infinite number of recipes using canned mackerel on the internet, and cooking shows regularly showcase dishes using it as a main ingredient. According to the health professionals, the secret to the abundance of nutrients in the can lies in the preparation method. The mackerel is first sliced into thick rounds which are stuffed in a can and sealed while the fish is still fresh and raw. It is then that the cans are put in a large-scale oven chamber where the fish is cooked. The can is only re-opened when the customer takes it out to eat. This cooking technique seals in all the good fats, DHA and EPA, as well as calcium (bones are edible), so the canned mackerel actually has a much higher nutrient content compared to sauteeing, steaming or grilling a piece of fresh fish bought from the grocery store. There are all kinds of saba-kan, and each one can be eaten as is, without any preparation. You can find saba packed in water, vegetable or olive oil, flavoured with miso, soy sauce, basil, curry, lemon, shiso (Japanese ‘basil’) and I’m sure the list will continue to grow. 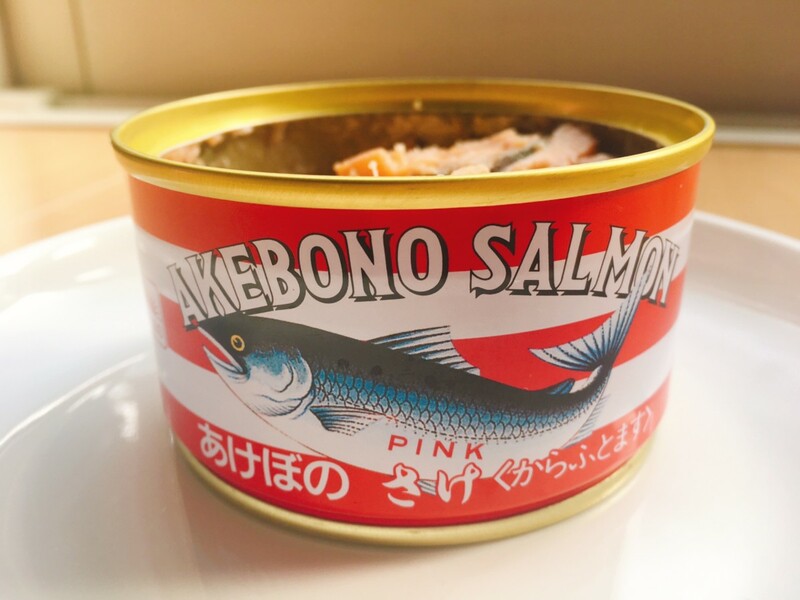 The canned mackerel started it all, but the health benefits of eating iwashi and salmon out of a can are also being applauded by nutritionists and doctors in Japan. Canned iwashi is said to have 1.5 times more EPA compared to the canned mackerel, making it helpful in cardiovascular health. It is also claimed that only the protein in sardines are broken down in the body and become what are called ‘sardine peptides’ which can have a positive effect on blood pressure. Canned salmon, on the other hand, contains a pigment called astaxanthin that has been praised for boosting the immune system as well as preventing or even improving presbyopia (age-related vision problems). You’ve probably heard of cat cafés and dog cafés in Japan; they are places that entertain animal lovers and provide a way to get a pet fix for those who don’t actually have a pet of their own. Different shops have different payment systems, but usually they are priced per half or per hour of stay. Because they are cafés, some shops require each visitor to buy a drink (which may or may not be included in the base price). There have been owl cafés and ferret cafés too, but the newest one seems to be the hedgehog café. In this case, most people probably don’t have any experience playing with hedgehogs. It might sound a bit dangerous with all those spines that are normally used as a defense mechanism. There will most likely be an explanation of how to safely handle the little creatures. Some shops provide gloves for those worried about being poked or bitten. It’s easy to want to hold a hedgehog once you see how adorable they are when curled up into a little ball. Sentos, or public baths, have been around for centuries in Japan, but as you can imagine, they have become scarce since all houses and apartment units are now equipped with their own bathtubs. However, you can still find small sentos in and around residential neighbourhoods. They are usually old and outdated (but clean), and only attract the elderly who want to socialize with their neighbours while bathing. Relatively recently, during the 70s and 80s, in order to keep with the times, the su-pa-sento, or super sento was born. They are large institutions that house not only various baths of different temperatures and types of water, but also manga cafés, libraries, saunas, spas for whole body massages, restaurants, and relaxation spaces with hammocks or massage chairs. People can spend their whole day off from work at one of these sentos either alone or with friends or family. It doesn’t have to become a huge trip because these sentos are usually found right in the city, close to home. In the past year, there seemed to be a trend to make the super sentos even more super. New sentos are entering the competition and are forcing the old ones to renovate. These new and renovated sentos have upped their game with attractive services such fashionable rental spa-wear, free towel service, restaurants with top-notch food, chic and modern relaxation spaces, ganban-yoku (a hot stone spa where you lie on large, flat, heated stones) and self-serve all-you-can-drink coffee and tea. These new-style super sentos and their reasonable entry fees are drawing more and more people of all ages to spend their day relaxing at the spa. 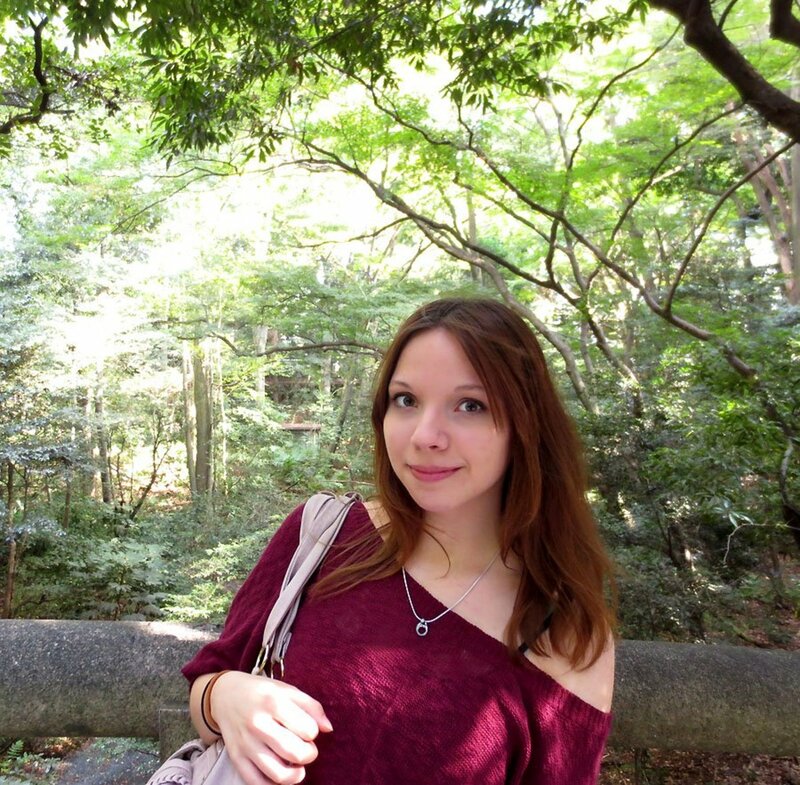 There are so many temples and shrines in Japan that it might be difficult to keep track of which ones you’ve visited and which ones you haven’t. With a goshuin, it would be easier to remember. Goshuin are stamps received at shrines or temples. It is becoming more and more popular for people to buy goshuin books to take with them on every temple or shrine visit. The book is presented to one of the monks who (usually for a small fee) will stamp a page and write the name of the temple/shrine along with the date. Some are more elaborate than others, being completely hand-written and with hand-drawn pictures almost like artwork. Sometimes there may be a limited-edition stamp for certain occasions and people will make a special trip out just to get these in their goshuin books. Places that provide stamps like these can attract long line-ups of people wanting to add to their collection. No, cheese is not new in Japan; however, it has become a large part of the latest food trends in this country. Even though you won’t find much cheese in traditional Japanese cooking, that doesn’t mean the Japanese don’t eat it often. They especially seem to love the soft types, like camembert, brie and mozzarella. Various types and brands of “torekeru” cheese, or cheese for melting (on pizzas or gratins for example) are easy to find in any grocery store or convenience store. Blue cheese, although not soft, was not loved at first but it is now gaining in popularity. Cheese is so popular that in this past year, there have been several cheese specialty restaurants opened. Here are some of the newest cheese trends. Oozy, Gooey Cheese Dishes: The cheese fondue craze in Japan is still going strong, but there are two other dishes using lava-like cheese that are hitting the food scene. One is raclette cheese, where the melted surface of a big hunk of the cheese is scraped off onto vegetables or meat. The other is Chicago-style pizza. You might be thinking ‘but Chicago pizza is just a pizza with a deep-dish crust’, however, the Japanese love their oozing cheese, so they fill their deep-dish pizzas with mostly cheese such that it is essentially fondue in a pizza crust. When you take a slice out, all the cheese ends up running and spreading out onto the board it is served on. Of course, there are still places making the more authentic type, but this one with a Japanese twist is gaining a lot of attention. 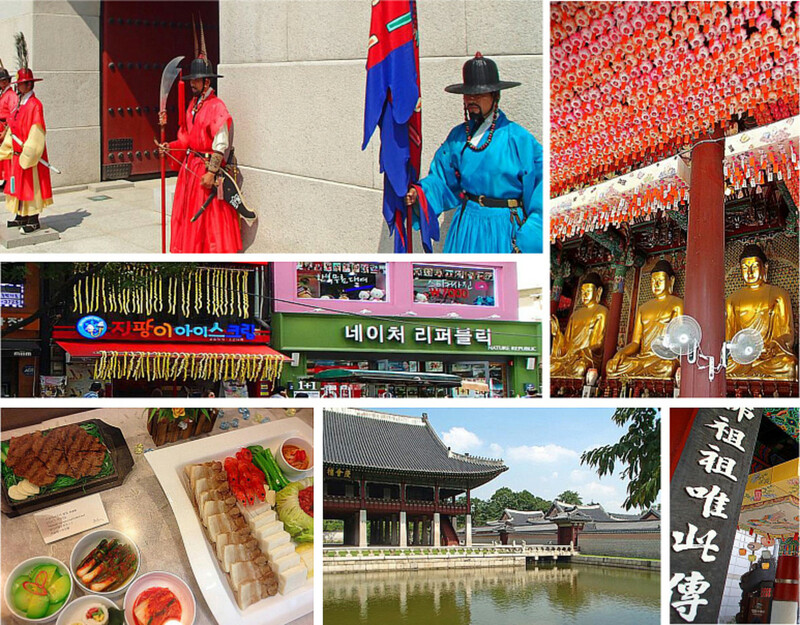 Korean Cheese Trends: Last year’s trend from Korea was cheese dak galbi, and this year, cheese is still the main attraction but this time it’s in a cheese dogu, also called haddogu (i.e. dog or hotdog). A big rectangular block of cheese is skewered, battered and fried. It comes out looking much like a corn dog. Usually, there is a little bite-sized piece of wiener included so it still can be called a “dog”. When you bite into it while it’s hot, you can keep pulling the haddogu further away from your face and the cheese will still be connected to your mouth with a long string of stretchy cheese. The other cheese trend from Korea is paneh-chicken. It looks like cheese fondue served in a bread bowl with fried chicken alongside it. The cheese, however, is a little thicker and stretches more than fondue cheese, such that the cheese can be picked up with tongs and cut with scissors to create a topping for the chicken. The word paneh is apparently the Korean word for baguette. 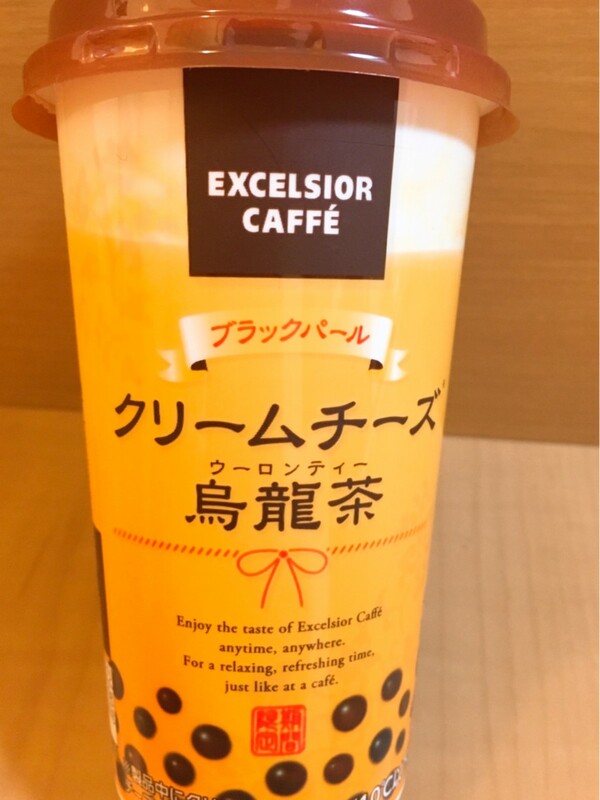 Cheese Tea: While the Taiwanese bubble tea, or tapioca tea trend is still quite popular in Japan, another dessert drink has crept into the sweets scene. Cheese tea is basically tea with a runny, light or foamy cheese topping. In Japan, you can get all sorts of tea, such as jasmine, oolong, regular black, green tea, matcha, and hojicha (roasted green tea that seems to be the new matcha in terms of desserts in Japan). The cheese topping may be made with cream cheese or other soft cheese like mascarpone, mixed with milk and whipping cream. It is light enough that it floats on top of the tea. As you drink, the topping slowly melds with the tea so you can enjoy the changing flavours. Cheese tea can also be found prepackaged in convenience stores. These ones are more homogenous where the cheese is mixed into the tea already. I tried an oolong cream cheese drink and found that the sweetness overpowered the flavour of the oolong tea, but the smooth milky texture was nice. Japan is not all about rice; they do like their bread too. In fact, Japan’s bread, in all its forms, has gained quite an international reputation, especially in the surrounding Asian countries. 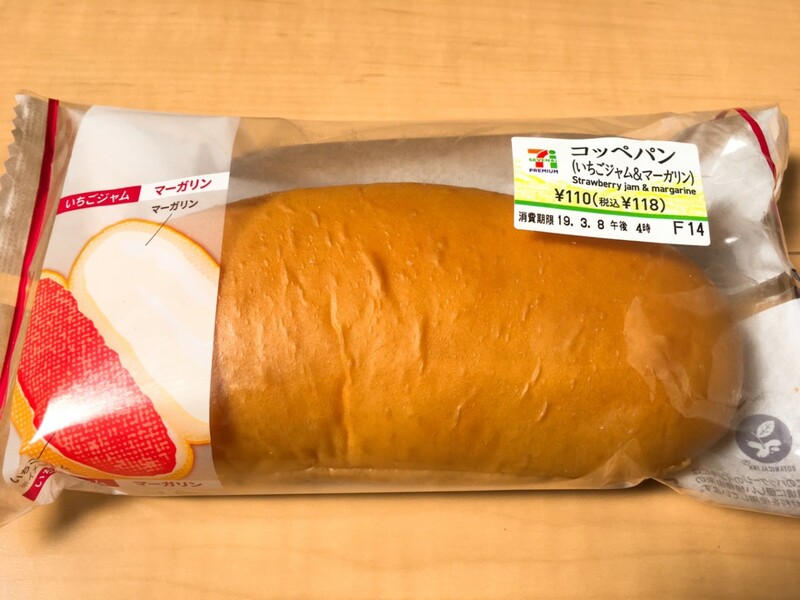 Compared to sandwich bread in the West, Japan’s shokupan uses more butter or margarine, and cream or milk, making the loaf a lot moister, sweeter and very slightly cake-like. It is dense, but maintains a fluffy texture. While bakeries often sell their own house-made loaf along with all the other various buns and pastries they make, there are now many shokupan specialty stores popping up in all cities. These stores make only one type of loaf and focus on selling that one product. They usually use different ingredients from the regular loaf such as high-grade flour, brown or white rice flour, mirin, cream specifically from Hokkaido, cultured butter, sesame oil, imported salt, etc. Using such ingredients makes these loaves slightly more expensive than your regular loaf sold in the grocery stores (there can be as much as a three to four hundred yen difference ). Even so, people are buying these specialty loaves to enjoy for breakfast or as an afternoon treat, and some are even purchasing them as gifts to give to friends or coworkers. 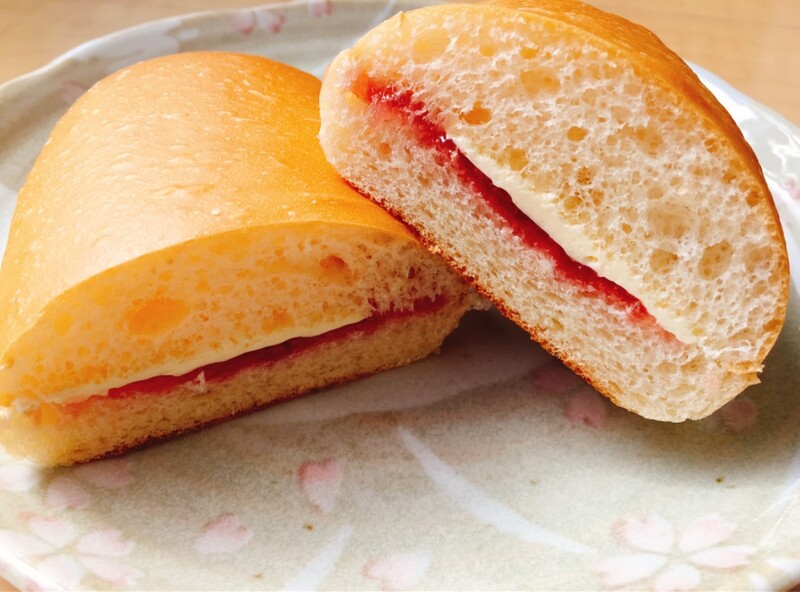 Since the shokupan in Japan is so well-liked, it goes without saying that sandwiches are popular at the same time. There seem to be two types of sandwiches popular this year. The first one is the tamago, or egg sandwich. One of the most beloved egg dishes in Japan is tamago-yaki, which is a rolled omelette usually flavoured with dashi or sugar and soy sauce. Simply putting it into a sandwich creates a whole new dish and opens up more room for creativity. Not only is there variety in how the egg is seasoned, now you can play with other toppings, spreads and types of bread. 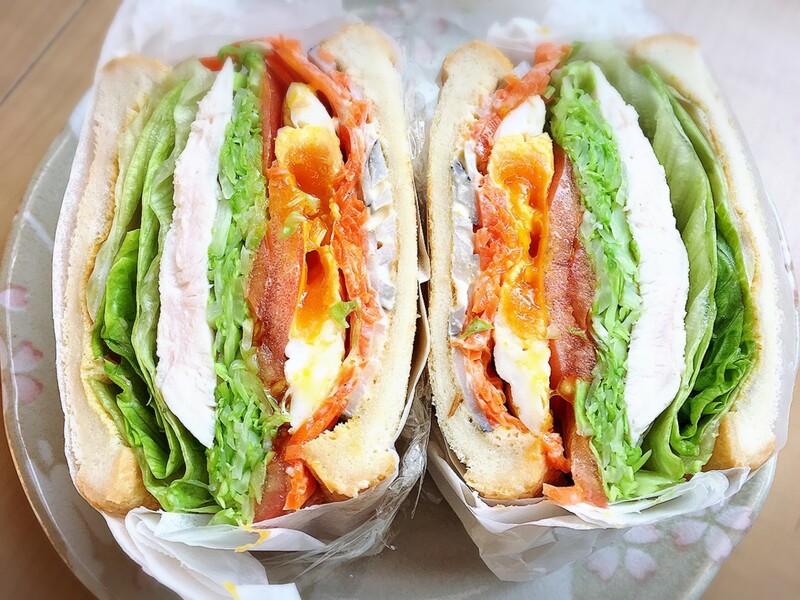 Many restaurants and cafes are trying to come with their own unique egg sandwich, whether it’s filled with the traditional tamago-yaki, a scrambled egg, a breaded and fried egg, a steamed egg paste, or chopped egg with mayonnaise, and so on. Even some convenience stores were taking advantage of the trend and sold packages with three different types of egg sandwiches so that you could eat and compare. Since Japanese bread tends to be on the sweeter side, it seems to go really well with eggs. The other type of sandwich is the overly packed one. When you see one of these being made, it becomes a tower even though there are only two slices of bread, the fillings keep getting piled on to the point where it looks like it might topple over. Then comes the trick in making it easier to eat as a sandwich; after the top slice of bread is placed over the filling, the sandwich is squashed and then wrapped in parchment paper and saran wrap. It is left for a few minutes for the flavours to meld and absorb into each other. Finally, the sandwich is cut in half while still in its wrapping, thus maintaining its shape without popping open. It may be a mouthful to bite into, but you can create a complexity of flavours and experiment with all different variations in this type of sandwich. Not to mention, you could share one sandwich with someone and it would still be enough for a light meal or snack. Still on the subject of bread, koppe-pan is a soft, long-shaped bun comparable to the hotdog bun of the West. This bun was enjoyed by older generations as children when it was part of the lunches that schools provided in the 1930s. Now it’s back and once again gaining in popularity. It’s a simple bun that is easy to embellish in endless combinations. It can be split horizontally and spread with jams, butter and red bean pastes, or it can be cut from the top like a hotdog to provide the perfect base for fillings such as meat patties, fried croquettes, salads, yakisoba, etc. It can even be fried and sprinkled with sugar and cinnamon to make age-pan (Japanese for fried bread). 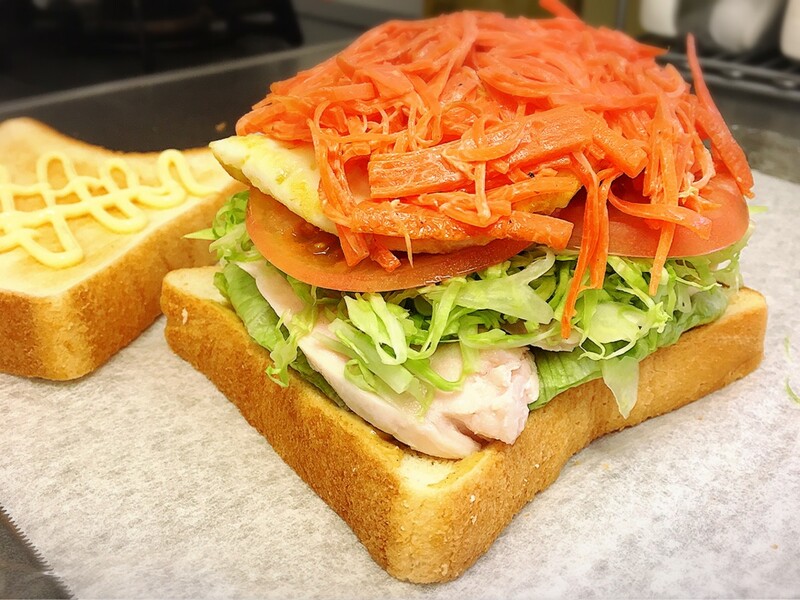 With Instagram being so popular these days, koppe-pan is perfect for making a sandwich become Instagram-worthy. All convenience stores here sell both sweet and savory varieties of koppe-pan. Recently opened koppe-pan specialty shops are making this rather plain bun more extravagant with all the possibilities of toppings and fillings. This trend, without a doubt, comes from the need to be photogenic for Instagram. What better way to stand out than making everything look like a rainbow! There are rainbow cakes where each layer is a different colour (stacked in the order of a rainbow of course). The surprise comes when you cut into the white frosted cake and find the array of colours inside. There are also rainbow rolled cakes where the outer layer is a rainbow coloured cake wrapped around plenty of whipped cream or custard. One Japanese confectionary shop sells a package of hoshi-kingyoku, a traditional sweet made by mixing a jelly-like substance called kanten with a sweet sugary syrup. It is shaped and left to dry so that the out layer becomes crisp while the inner layer is transparent and chewy. The shop lines up the colours of the hoshi-kingyoku in a set to match the colours of a rainbow. Perhaps the most impressive among the rainbow foods is the grilled cheese sandwich. The cheese oozes out of the sandwich in strips of rainbow colours. You’d think there was an overload of cheese in there, but when you lift up one half of the cut sandwich, you’d know why; the coloured cheese stretches in the air forming a wall of colours falling from bread to plate. Pan-fried dumplings are nothing new, however recently they have been evolving and more and more gyoza specialty shops are putting their twists on the already well-liked item. There are shops that boast about how much meat juices are contained in their gyoza (you have to be careful eating these because they spurt all over the place!). Other shops put extra care in making their gyoza look like tulips, or stuffing them with unconventional fillings. A few shops are jumping on the bandwagon with some of the other food trends. For example, one shop uses the Korean cheese trend where instead of dipping grilled or fried meat in cheese, gyoza is plunged into the melted goo. There is also rainbow coloured gyoza, where each dumpling of a different colour is lined up to form a rainbow pattern and each colour has a different corresponding filling. Also, you may see raclette cheese being scraped and poured over a plate of gyoza. This trend has slowly been gaining popularity since last year. It started out with yakiniku (barbequed meat) restaurants or sushi restaurants putting meat sushi on their menu, but now there are new restaurants opening that specialize in this rather new concept of putting slices of either raw or grilled beef on top of a ball of sumeshi (sushi rice). It seems only natural that the Japanese would make this a popular trend since the younger generations are eating more meat than fish, and sushi hasn't gone out of style with any age. You may hear the word jibieh a lot in the food world this year. It comes from the French word gibier, meaning game. There already is a love for French food here, so it makes sense that they take the name from French as well. In Japan, you’ll see mostly wild boar (inoshishi) and deer meat (shika) being turned into delicious dishes, but in some parts of the country different types of game birds or even bear can be found on gibier menus. Like in the West, restaurants using local ingredients are quite popular, so many have turned to cooking with game. Even fast food and family restaurants have taken advantage of this trend and are selling burgers and dishes made with wild boar and deer. In my last article about trends, the newest ramen trend was broth made from different types of dried fish. This is being taken even further now with some shops producing broths from other types of seafood such as clams, oysters, crab and ise-ebi (Japanese lobster). There are also many attempts to make ramen more Western by using a tomato-based broth. It is known as Italian-style ramen. Trends are constantly coming and going. Here in Japan, they like to add the word bu-mu or “boom” to anything that is a current trend, for example, shokupan bu-mu, or saba-kan bu-mu. There are so many “booms” that I wanted to write about, but I tried my best to pick the ones that stand out the most. Some of the really popular trends last for quite a while, so read my previous Japanese trend article, Trends You’ll Notice When Visiting Japan in 2018, because some of those trends are still going strong, such as the natto and roast beef trends. I'm so glad you found the food trends interesting as I was worried that I included too many! Thoroughly enjoyed this article about a country I intend to visit. I love all the different trends, especially the food trends. Thank you for sharing.